Looking to advertise your business in a new way? Why not do it through Tough Talk Radio Network? Internet radio advertising is the most cost effective avenue to explore. With this form of advertising the message is sent by way of the internet instead of by radio. So if you are hearing an internet radio advertisement then you are right there on your computer and only a couple of clicks away from that advertiser’s website. Not only will your commercials air live on TTRN, they will also remain in our archives for months longer, giving you a valuable, ongoing return on your advertising investments. Everyday more and more people are tuning in to internet radio therefore the audience is growing at a tremendous rate, year after year. Tough Talk Radio Network offers several sponsorship packages that will get your name out to potentially hundreds of thousands of internet radio listeners. Tough Talk Radio Network has established a large listening base both nationally and internationally. How would you like to have all of these people to hear about you and your business!?! *An estimated 52 Million Americans Listened to Internet Radio in the last month. 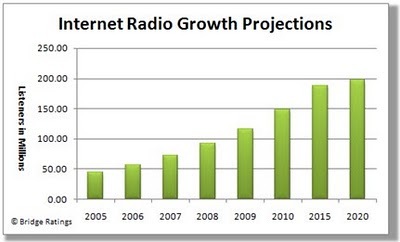 *The weekly Internet Radio audience has increased 50% over the past year. *More than eight in ten Americans are online from any location. *At-work streaming has increased an average of 43% each year over the last five years. *Internet radio attracts an upper-income audience, with weekly Internet radio listeners36% more likely to live in a household with annual income of $100K. *41% of online radio listeners have visited a website due to an ad. Let us customize an advertising package for you! Contact us Today!